Serving breakfast, lunch and dinner, the Hillwood Commons Cafe has a variety of meals for students. This semester, several new options are being added to the menu. The campus food service, Aramark, announced that it will offer a wider variety of meals in the spring 2019 semester, including limited time offer meals, according to Rob Reinhard, Aramark’s resident assistant director. “The Hillwood entrée station will feature trending food options,” Reinhard said. “Menus will change daily, Monday through Thursday, with Wednesdays offering a Fresh Fish Market. A selection of fresh fish will be available and grilled to order. Other rotating concepts will include a wing bar, build your own nachos, regional barbecue, baked potato bar, and loaded fries. 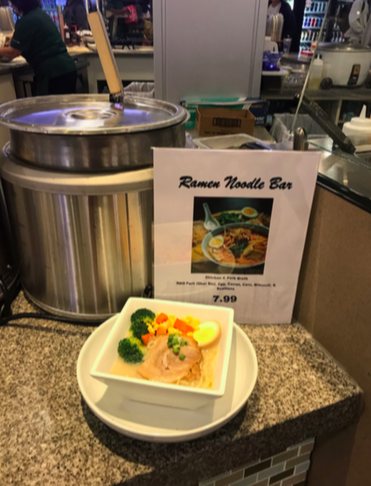 And new for spring 2019, our sushi provider has introduced a new Ramen Noodle Bar in addition to his freshly prepared sushi,” Reinhard said. Students are pleased with the new options. 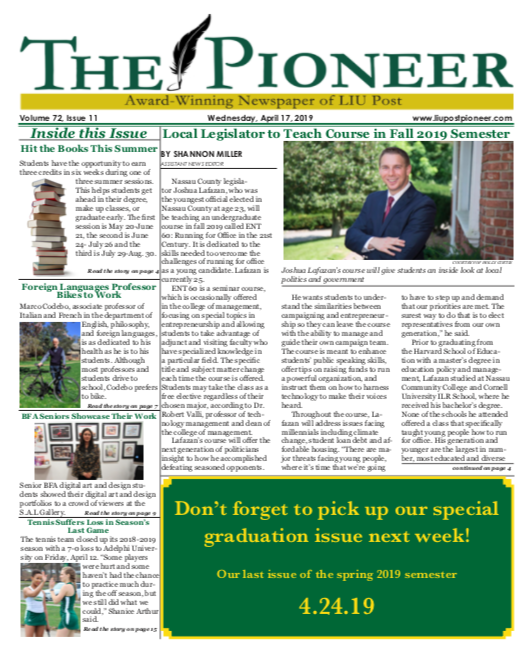 “The current menu is definitely, to me, bland,” Hunter Fenollol, a senior public relations major, said. “It could use more variety, more spice, more different types of food. If they were to add more options on the menu, I would absolutely go there more often. I bring lunch most of the time just because I want to change it up,” she said. Sophomore game design major Brandon Kay agreed that the current menu that Hillwood offers is minimal. “One thing that I think that they can improve on is that they can probably cover more basics, bring in some more food from other cultures. The current menu is serviceable, but I think they can definitely do better,” Kay said. “We are committed to delivering an innovative dining program that is also driven by the changing trends in the food industry,” Reinhard said. “With the introduction of a new management team including Campus Chef Romel Velasquez, Aramark took a fresh eyes approach to the current dining program which resulted in changes at both Hillwood Retail, and Winnick Residential Dining Halls,” he said.